California’s rich soil, year-round sun, and temperate climate create the perfect environment for cultivating a variety of produce, including oranges, strawberries, and even wine. Northern California’s expanse of open land is inhabited largely by large-scale farmers. While many think of farming as a safe and rewarding profession spent picking berries, tilling soil, and planting seeds, farming is, in fact, one of the more dangerous industries for laborers. Hundreds of thousands of farming accidents occur each year, 120,000 of which result in serious injuries and 1,300 of which result in death. The majority of these injuries and deaths are caused by tractor accidents. 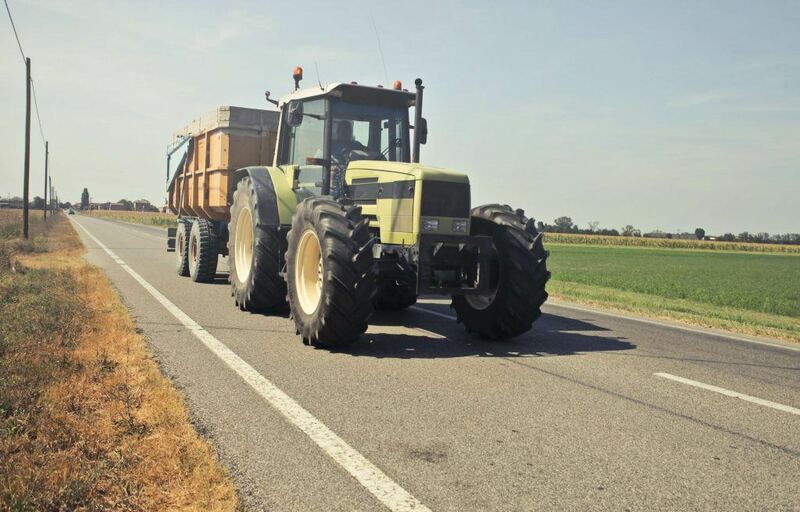 The Edward A Smith Law Offices represents clients injured in tractor accidents in Sacramento County and all surrounding northern California areas. Many of our clients come from generations of farmers and have dedicated their lives to the land. Despite years of family training, guidance, and education, farming, and tractor accidents are extremely prevalent in California. At the Edward A Smith Law Offices, we stand by the satisfaction of our clients. In fact, we have overwhelmingly positive 5-star reviews on social media sites like Yelp, Avvo. We promise to provide you with competent and experienced representation, personal involvement in your case, and the tireless and dedicated pursuit of compensation for your injuries. Our initial consultations are all free of charge, and we only take cases on a contingency basis. If you don’t win, we don’t get paid! Call the Edward A Smith Law Offices today to schedule an appointment at 916.921.6400. Most tractor accidents are preventable and foreseeable. They are often caused by negligence. This carelessness can be on the part of the driver, the company that owns the tractor, the company that services the tractor or the company that manufactured the tractor. Rollovers often occur due to speeding, driving recklessly on turns, driving at a steep incline, improper hitching, heavy loads, faulty ballasting, and driving next to a ditch. Unlike cars, tractors do not have very many built-in safety features like seatbelts, airbags, roll-over bars or padding. Because many accidents are largely preventable, they could have been avoided with proper training and safety measures. However, when carelessness or recklessness ensues, the shortage of safety equipment leads to especially devastating injuries. The video below provides comprehensive training and tractor safety tips for farm workers. In addition, you may suffer from other, non-physical catastrophic injuries like a financial loss, exorbitant medical bills, and property damage. Following an injury, we will thoroughly research the nature of your medical issues and work with you and your doctors to help you return to a state of vibrant health. We understand how stress and pain intertwine to intensify the physical and emotional trauma associated with the accident. We are here to help you through recovery. I’m Ed Smith, a Sacramento Tractor Accident Attorney with the primary accident information site on the web, www.AutoAccident.com. If you or a loved one has suffered an injury in a tractor accident caused by the negligence of another, call me now at 916.921.6400. See our Reviews on Yelp, Avvo. We are members of Million Dollar Advocates Forum.